Four ounces of Falkland Top. 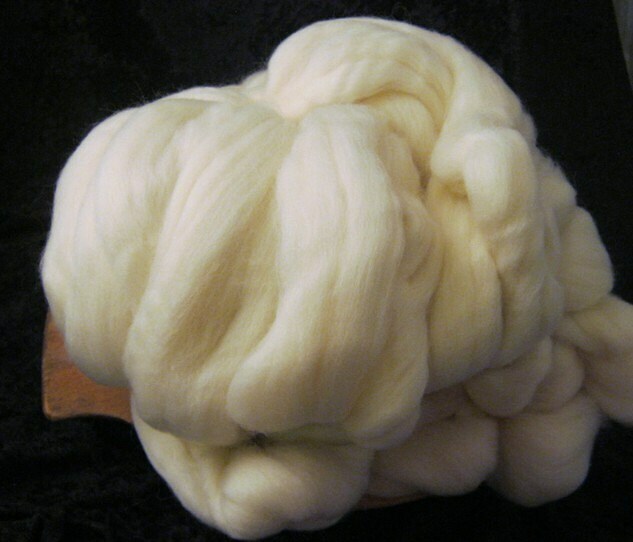 Creamy white and ready to spin, felt or dye. Easy to work with and easy to learn on. Good beginner wool with staple length of 3-5".